Everyone knows the importance of curb appeal when you are selling a home. Here are ten tips to be sure you make a great first impression. 1. The lawn must be green! Lots of water & fertilizers usually does the trick, but you may need to call in the professionals to have it beautiful as soon as possible. It also needs to be mowed & edged. 2. Trim overgrowth that covers windows, block a path, or touches the house. 4. Power wash decks, patios, windows and anywhere you see cobwebs, mold or dirt. 5. Remove all lawn ornaments, such as gnomes & flamingos. 6. Remove old play structures or anything that looks like it is past it’s prime. Replace faded cushions on the outdoor furniture with new ones. 7. Plant some colorful annuals and place fresh mulch on all the flower beds. 8. 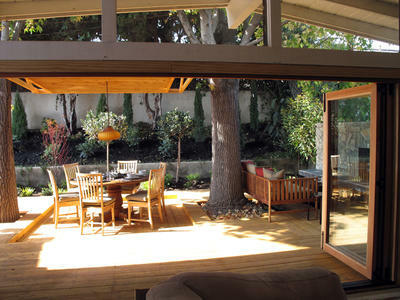 If you have a patio or deck, create a back yard living room to play up the increasing trend to outdoor living. 9. Create a back yard eating area. On the day of a showing, stage an outdoor table setting with pretty table cloth, pitcher of lemonade (actually water with a few drops of yellow food coloring!) and glasses. 10. If you have a front porch, create a seating area with wicker furniture and colorful pillows.